This bundle combines two of our top-selling items here on Flevy, namely Strategic Planning - Hoshin Policy Deployment and Balanced Scorecard Deployment Process, to a preferred price. 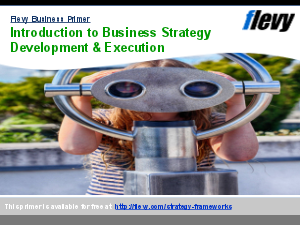 This bundle includes 227 slides and various forms and templates to lead you through a proven and effective Strategic Planning and Balanced Scorecard implementation process, and thus builds the foundation of your Operational Excellence initiative. Our Balanced Scorecard Deployment Process facilitates the effective implementation of the Balanced Scorecard methodology and ensures that the resulting scorecards adequately measure an organization's strategic goals, objectives, and initiatives, as well as align the different parts of an organization towards its strategic goals and objectives.